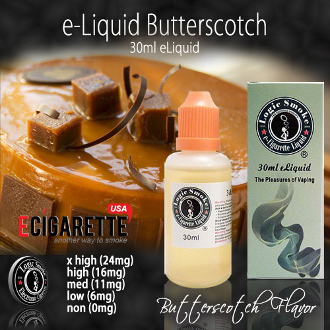 Our sweet, delicious Butterscotch E-liquid is sugary, rich, and delectable. It is a wonderful desert flavor with buttery substance and creamy undertones. It will remind you of childhood and the candies your grandparents used to have. Try some of our Butterscotch E-liquid and reminisce.